starting from only 27.99 €, including many charts ! SAVE WITH THE SPECIAL BIRTHDAY OFFER ! 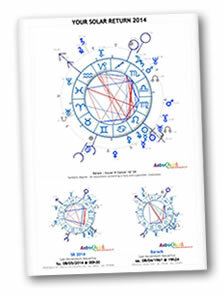 Ideal to know all of your personal astral forecasts throughout your solar year. 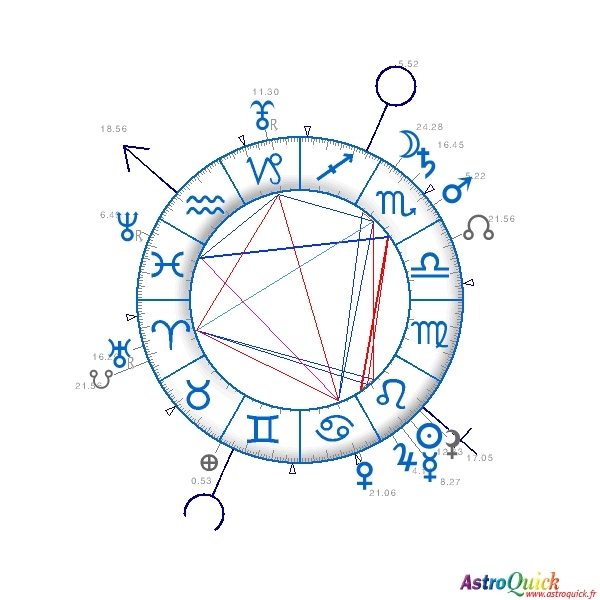 A solar return is a chart calculated the year when the Sun comes back to the exact same position as the one of the birth chart (exact same time). We also call it "anniversary chart" because this particular time of the year generally gives us a preview of what the next solar year is going to be about (from a birth date to another the next year). The astrological study of your solar return is based on a general analysis of the birth date and birth place sky chart but also on the analysis of its comparison with the birth sky chart (birth chart). 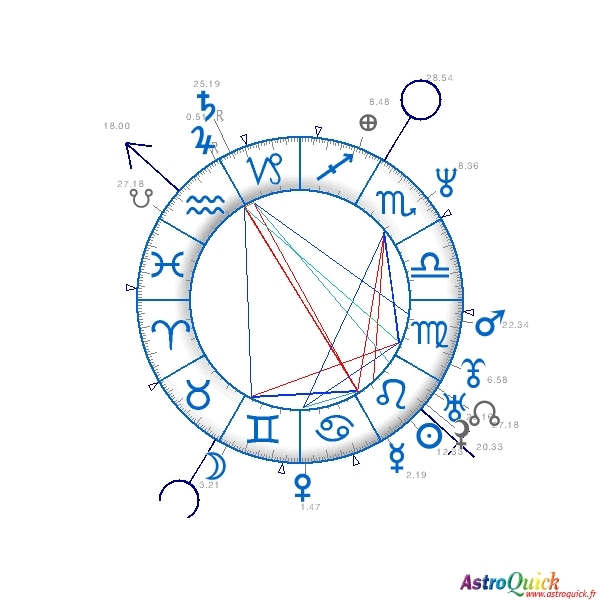 This superimposition of both charts will give you more details in several areas such as your love life, your family, your professional life, your finances, your hobbies, etc. The solar return is very important in the study of transits and will help you figure out in what areas the elements signified by the planetary transits will happen. We remind you that it is impossible for a computerized analysis, even detailed, to do what a professional astrologer could do. That's why some interpretations may sound contradictory or inappropriate to you. Consequently you should read this document over and over again all through the year in order to see the connection it has with elements of your life. Then you will definitely know what to focus on in your life in order to face any situation happening during your solar year. Have a good reading !